With the football program fighting tooth and nail for the esteemed privilege of playing in a mid-December bowl game against Toledo, Halfwits and Wagers has made an executive (one-time) decision to start covering basketball in order to improve team morale. And good news, Year 5 of the Buzz Williams era carries nearly unrivaled promise, with Virginia Tech garnering the No. 15 spot in the Preseason AP Poll (matching a program record). For further context, the last time the Hokies were ranked this high in the preseason, Ronald Reagan was in his first term as President and a young Frank Beamer was still roaming the sidelines at Murray State. Without any further ado, let's get to the lines! Brian: True, and I'm not sure it'll be very close. I love Robinson this season. The senior point guard is the picture perfect example of progression within a sound program. His points, assists, steals, and rebounds have increased every season (as one would expect with a rising usage rate), but more importantly his shooting percentages have risen as well. Last year Robinson lead the team in scoring, hit nearly 40% of his threes and 46% of his overall attempts from the floor—which isn't shabby for a guard who winds up taking extra jumpers. I'm fascinated by the way Buzz uses him this season. Are there moments where he plays off-ball next to Wabissa Bede? How does he perform on a roster heavy on guards and floor-spacing wings? It should give him a lot of room to operate, and I wouldn't be surprised to see him put up a first team All-ACC performance. Joey: We're starting off with a no-brainer because I have a take to get off my chest. Justin Robinson is the best point guard in the ACC. Justin Robinson is the best damn point guard in the country. Five's a classic Buzz OKG*, a slightly undersized, chip-on-his-shoulder kind of player that makes every minute on the court look like you just personally insulted his grandmother. And the scary thing? He's gotten really, really good. With three years of impressively steady improvement, Robinson's trending towards a 18 ppg and 7-8 apg statline for his senior campaign, and could very conceivably eclipse 40% from deep and 80% from the charity stripe. Leading a veteran-laden lineup that shouldn't be light on scoring nor victories, I expect there to be plenty of All-American hype circling around Five come March. **Never, ever follow Buzz on Twitter. Brian: In the season before his knee injury, Outlaw hit nearly half of his threes. This isn't a "big man shoots two threes in a season" kind of deal, either. He was a gunner, launching 117 times from distance and hitting 57 of them. His number will probably be lower than 45% , simply because he'll have to take more shots while working his legs back into game form. A shooter's legs are just as, if not more important to the success of a jumper than the rest of the form is, and it's a tough ask to expect him to replicate his previous percentages. But I will say this. Outlaw is a vital piece to the Hokies' success, especially after the Clarke news. I personally don't expect Clarke to be back with the team again, which means Outlaw will be counted on for a lot. While this is a less than ideal way to start a season, I'd advise you to take a look at Outlaw's game log from 2016-17. See that uptick in performance? Right around the Valentine's Day game in Pittsburgh? It directly corresponds to Clarke hurting his knee and missing the remainder of the season. One could argue that Outlaw just got hot for a month, making it difficult to draw comparisons from then to now. But I'd hesitate to discount any direct correlation. Clarke gives the Hokies a lot of things, but floor spacing isn't one of them. And with the numerous small ball looks we'll see from the coaching staff moving forward, it probably doesn't hurt to get a healthy Outlaw on the floor frequently. Joey: We'll back off the take machine here just a bit and ease back to Planet Earth. Look, I love Ty Outlaw. And with Justin Bibbs having finally moved on from a 10-year career in Blacksburg, Outlaw pairs up with Ahmed Hill and NAW for a sharp-shooting wing trifecta that Jim Boeheim must be having nightmares about (let's face it, Boeheim likely goes to sleep drunk every night but just go with it). All that said, 45% feels high for a sixth-year guy coming off a serious knee injury. I'll bet on early season rust and expanded volume leading to the under. Nolley grabbed eight a game as a high school senior, and according to Hokiesports runs at 6'7" 230 lbs, way bigger than I thought he was. Both Buzz and Robinson have already said that the guards will need to take a bigger role in rebounding after the Clarke suspension, which means Nolley will have to play with the big boys whenever he's on the court. To me this comes down to playing time. Horne is one of two players—Kerry Blackshear being the other—listed on the roster as a forward. If Blackshear misses any time to injury or fouls (at least one of which seems likely), Horne will have to play a lot. But I think Nolley finds the rotation more. I think he'll play a lot of stretch four (possibly rotating with Outlaw? ), and I think he wins this wager. Joey: I'll admit it, this line was a lot more interesting before the whole "Is Landers Nolley going to be eligible?" conversation started to pick up steam. One of these three pretty much has to hit, so I'll stick with the most underrated 6'3" power forward in America, PJ Horne. Brian: I love Ahmed Hill. When I was living in Blacksburg after college and covering the team on a more regular basis, I had the pleasure of watching a ton of that awful-but-fun team that Buzz cobbled together in year one. While I tried to figure out how to get Malik Mueller more playing time and whether or not Adam Smith would give his coaches a stroke, there were two things that became clear. One was that Justin Bibbs would become a very solid three-and-d, two-way player. The other was that despite sometimes air mailing threes or throwing layups at the backboard like they were shot out of a bazooka, Ahmed Hill tried so damn hard something would end up working out for him. And despite seeing his minutes decrease down the stretch last season, it's hard not to admire the way he's transformed his game. His hitchy, slow-developing three pointer may not make him a great professional prospect, but it works in Blacksburg. I'll obviously take the over here, and I would wager on watching an improved Hill to start the year. Joey: I've been on this over train for far too long to stop now. Wouldn't it be a better sign if they didn't have anyone make it? To make first team all conference you either have to be a great player on a great team (think Marvin Bagley last year), or an incredible player on an awful team (looking at you, Erick Green). If Buzz has his way, he'll play nine guys, spread the ball around, and have the entire group shoulder the responsibility for a win. I doubt Tech will do so well that the voters feel required to put their best player on the list (the Kyle Guy corollary), which means someone will have to stand out. Maybe that happens, Jae Crowder won Big East Player of the Year under Buzz at Marquette. But I'm guessing things will level out enough that it won't. Joey: Based on my assessment of Robinson above, I'll stick with true. But even setting aside J-Rob, there's two other guys worth considering. The obvious place to start is Nickeil Alexander-Walker, the former five-star Canadian who carries considerable potential but could be hurt by the fact that Coach K has no less than three lottery pick wings putting their semester of Psychology 101 in before heading to Orlando, Phoenix, and Washington, respectively. The only other viable option would be Kerry Blackshear Jr., but I have trouble seeing KJ surpass media darling Luke Maye in the end-of-season voting. Brian: ESPN NBA draft analyst Jonathan Givony has Nickeil Alexander-Walker going 26th in his current, obviously way-too-early mock draft. Before you start hemming and hawing about what you have or haven't seen from the sophomore, this is very obviously based on three unrelated factors: length, youth, and versatility. No matter what NAW does this year, he'll always have those three factors working in his favor. It's what got his cousin Shai Gilgeous-Alexander picked in the lottery this summer. If he shoots it a little better from deep and plays more than 25 minutes a night, it seems very likely that he'll declare. And if he declares, those three factors will get him picked. 26th? Maybe not. But 46th is a much more likely proposition. That doesn't mean I'm not high on the potential of a guy like Nickeil Alexander-Walker, but I think he'll end up jumping to the league after his junior year (where he'll be the featured scorer on a frighteningly young team). Robinson could also sneak into the second round — and I suppose a healthy, productive year from KJ would spark interest — but the under feels like the safe play. Brian: Under. For whatever reason this is another Seth Greenberg schedule, with eight opponents that'll tank Tech's RPI even with a win. Traveling to Penn State could be interesting (Satchel Pierce revenge game anyone???? ), but the only thing that gets my pulse up is the Charleston Classic against Alabama and (hopefully) Purdue. Under. I'm SURE this schedule won't come back to haunt them come Selection Sunday. Either way, Tech should be just under the number and hit double-digit non-conference wins for the third straight year. Brian: This is the best collection of talent Buzz has ever had in Blacksburg. They're really skilled, and deep everywhere. But by everywhere I really just mean at any position where being over 6'6" isn't a requirement. That doesn't concern me, but I can see why it might bother someone. The Hokies have finished 10-8 in the ACC for the last three seasons, a remarkable feat from Williams. In 2016-17 the Hokies won 10 conference games with an eight man rotation, and the only big man being Zach LeDay (with a sprinkle of Khadim Sy). In 2017-18 they won 10 conference games with a seven-man rotation and a few freshmen playing light minutes. In 2018-19, they have eight players in the presumed rotation (Hill, Outlaw, Robinson, NAW, Blackshear, Bede, Horne, and Nolley), with freshmen Isaiah Wilkins and Jonathan Kabongo vying to earn their coaches trust. Joey: A week ago, this team was without a doubt the most talented roster Buzz has fielded since arriving in Blacksburg. But removing Chris Clarke — and god forbid, Landers Nolley — from the equation both limits depth and makes matching up defensively a tall task for yet another undersized Tech team. The top-end talent remains unscathed. Robinson is a legit All-ACC floor general, NAW is likely a future pro, and Blackshear is a highly skilled big who meshes well with the four-around-one offensive system Buzz employs. Throw in steady, sharp-shooting veterans in Ahmed Hill and Ty Outlaw and you have a starting five that can score with anybody in the country. I'll be honest, though — the bench scares me. Brian seems high on Wabissa Bede, but I'm not sold that he's even close to ready to contribute offensively in the ACC. PJ Horne is reliable but physically challenged against legitimate bigs. Jonathan Kabongo and Isaiah Wilkins are decent prospects but certainly not recruiting coups. So where does that leave Tech? Well, it leaves Buzz in a position of a) hoping Landers Nolley is cleared; and b) searching for a 7th and 8th guy that he can count on. Smart money there would be on Bede and Horne, but Wilkins reportedly impressed in Sunday's exhibition at Liberty and could play a role off the bench. I hate the pick, and further injury or off-the-court trouble would border on catastrophic, but I'll take the over. Brian: False. My dream is the Hokies getting a six seed and being pitted up against a weaker three seed in a path to the Sweet 16. But it's tough to see a five seed happening. Three of the four five seeds last year won 24 games. If you think Tech goes 11-7 in conference (which is reasonable to expect), they'd have to go undefeated out of conference, and hope their lack of SOS outside of ACC play doesn't hurt them. To me, this is a seven seed with their absolute ceiling being on the five line. It's almost impossible to expect everything to go perfectly (especially with the way things have already started), so I can't in good conscious say true. Joey: Of the six teams that finished the 2018 conference season with 11 or more wins (UVA, Duke, Clemson, Miami, UNC, NC State), four received seeds five or better. Just two — Miami and NC State — were placed on the six line or above, with NC State lucking into the dreaded 8/9 game. Not so coincidentally, the 'Canes and Wolfpack each had lackluster non-conference slates (sound familiar? ), as the only true resume building win outside of a friendly ACC/Big Ten Challenge came in the form of NC State's Thanksgiving Eve upset of Arizona. 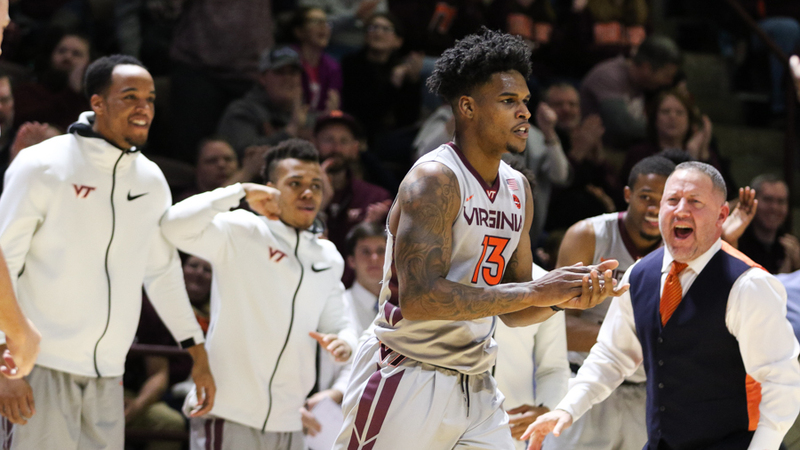 While the Hokies will have holiday opportunities of their own with Alabama and Purdue/Wichita State, a few early season stumbles could limit the seeding upside the Hokies have come March. Duke aint playing school this year! I really hope that's a typo on hokiesports. I can't see Nolley playing at 230. 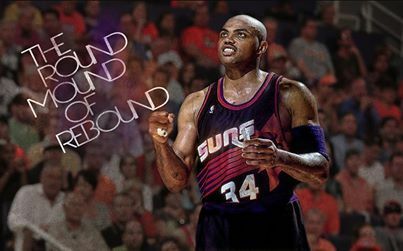 I remember discovering Barkley during a late night NCAA Tourney marathon when his nickname was "Food World". I was intrigued and enjoyed watching him develop over the years back when I actually cared about pro basketball. Barkley was 6'6" when he played so that was my comparison. Even better, we have two more of them big bodies to work the inside and be able to handle it in there. Sweet! Is Nolley a legit 6'7" or is this one of those hokiesports (and other college sites) deals where all the athletes are actually 2 inches shorter than what they are listed? Watched Zion last night against Kentucky. First off, that dude is an absolute UNIT.... 6'7" 285 lbs and that's straight chiseled. No one at that weight should move that swiftly. Lebron James is 6"8 250 lbs to put it in perspective. I am praying to god that Wizards just punt the season and draft Zion. Side note: Give me Kansas or Duke to win it all this year. I'll give others the field. Both those teams are going to be fun to watch all year. Edit: That is the current reported height and weight for Lebron James. How do I set my DVR to record when Zion has the ball. That dud is absolutely insane. Usually I think these players get over hyped because the team around them makes them look good. Put him on any team in the country and he improves them significantly. Its scary. Yea, the hype is/was real... Everyone knew him as a "dunker" coming out of high school (for obvious reasons) but even Dickie V even said that was almost disrespectful to him as he is so much more than that. He can dribble, penetrate to the hoop, good mid range game, and last but not least, a strong finisher at the hoop. Don't forget about Barrett. He had 33 last night and looked like a polished NBA superstar while doing it. There's very few guys who come through college with his abilities. If he keeps playing like this he'll run away with all the POY awards. Yeah Zion is some sort of alien or military experiment. He's the size of an offensive lineman, but with a 45"+ vertical, great handles/agility and high basketball IQ. His jump stop + two foot leap is possibly the most explosive move I've ever seen in basketball. I've been watching this kid for two years and couldn't believe people were skeptical about how good he's gonna be in college/NBA. For shits and giggles, I saw what Lebron James was when he was coming out of high school. As you will see in the link, he was only 6'6" and 225 lbs. I am not here saying Zion is the next Lebron James but Zion is 1" taller and 60!!! pounds heavier. Again, they way he moves, how agile he is, his vertical, his speed, pretty much everything you said... seems unbelievable. All I can say is Go Hokies and see everybody in the Cassel on Friday! I'm rolling on the floor, laughing. Or crying. Not really sure which, but I am on the floor. Man, I would be way more excited about this team if Clarke hadn't just got suspended. Now all I'll be able to think about was the potential we had. Am I the only person still holding out hope that Clarke's "indefinite suspension" ends before the bulk of ACC play? For anyone interested in seeing our opponent for Friday night, Gardner-Webb plays at VCU this evening at 7PM and it should be available through ESPN+, which is the new streaming service for ESPN, and it will play through the WatchESPN app. I think ESPN+ costs $4.99 a month or something along those lines. Not worth wasting my first free trial on Gardner-Webb vs. VCU, but I might tune into the Gamecast at times. Gardner Webb played VCU close most of the night. VCU pulling away here at the end. They had a good surge early in the second half to close the gap but couldn't sustain it. It was a pretty impressive comeback, especially considering they let VCU close the first half on an 18-4 run. Around the 7 minute mark remaining the wheels came off for the Bulldogs. They definitely relied on their more experienced players in this game with all of the starting five being returning players. The one freshman that made a big contribution was Jose Perez, seemingly their shooting guard of the future. He chipped in 16 points and 5 rebounds in his first action. I will have more on the Bulldogs in the coming days. True/False: the Hokies get their first tournament W under Buzz & finally get that monkey off the back?? Eight ball says: Reply hazy, try again. The "Even James Johnson Could Beat This Team" Team"
Those unclosed quotes are killing me. What is Nolley's situation? I didn't know there were questions about eligibility? He apparently didn't suit up for a preseason exhibition against Liberty, and TKP is the only place I've seen anything about it. There is literally no other useful information I've been able to find. What actually happened with Clarke to get him booted from the team? I can't find anything about it. The school did not release a reason. There has been a ton of speculation and innuendo on Twitter and other posts but nothing has been confirmed. I know it's super unlikely but is there any way, any way at all, that Clarke come back later in the season? It was termed an "indefinite suspension" rather than a "dismissal", so, maybe? But every time this question gets asked somebody steps up and shoots it down quickly, so who knows.